40 Days of Kindness through Lent and on! 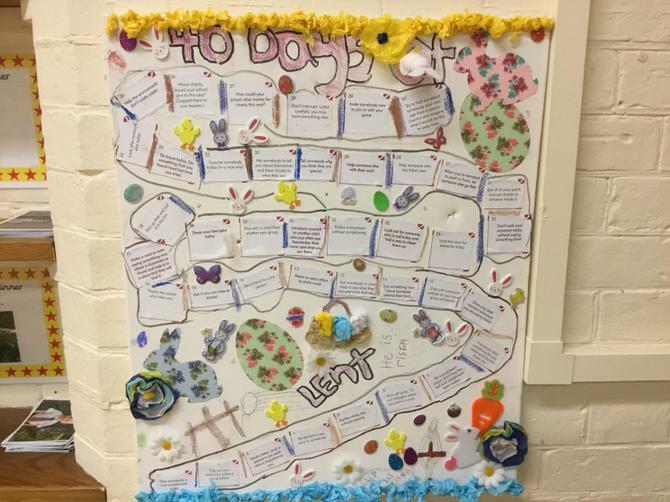 The School Ethos Team have initiated a '40 Days of Kindness through Lent and on' across the school for all children to follow. This idea stemmed from the School Ethos day and is now being followed by all pupils across the school. You can see the beautiful artwork canvas created by team and which has now been prominently placed in the school hall further supporting the children is their display of our school values.